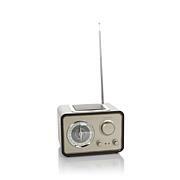 This stunning piece of audio technology offers a clean-cut, modern-yet-classical look with metallic corners. 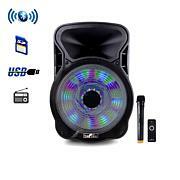 You can rely on the powerful and clear sound offered by this speaker as your sidekick for any public speaking event, social event or gathering. 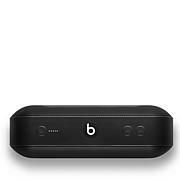 As this is a two-way speaker, it can be used with other speakers as a main or passive unit once you connect it with a simple AV cable. Equipped with both a microphone and a guitar jack, this speaker also accepts SD and USB inputs. Hard-mounted side handles allow the unit to be carried by just you, or multiple people, while the extendable top handle allows the unit to be easily rolled along. 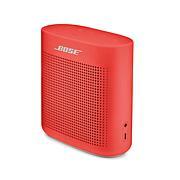 This portable powerhouse gives you the freedom of sound wherever you may need it! Hard-mounted side handles, 4" x 2.5"
I needed a good, portable sound system for a backyard birthday party so I purchased this and IT WAS PERFECT!!!! Operating is very simple. Bluetooth connection is fast. The sound quality is great indoors and outdoors. Microphone works great! I have been disappointed by other speak purchases but I definitely recommend this product!! !